Making London fit for the Olympics didn’t just mean adding extra capacity on the tube and refurbishing overground services. The Games also gave Transport for London (TfL) an opportunity to review how its services were managed and identify initiatives that worked well and could be used in day-to-day operations in the future. But TfL faced a double challenge. To keep the momentum going, it was essential that the progress made during the Games was built on – becoming a catalyst for what was to come rather than an event that gradually slipped into its history. At the same time, it was facing a £4.2bn funding gap and needed to make significant cost savings. That imperative led TfL to launch one of the largest business transformation programmes ever undertaken in Europe, underpinned by a fundamental believe that it should be a customer service rather than a transport organisation. The goals for the transformation were ambitious. For the travelling public, it meant improving their daily journeys and making `every day an Olympic moment`. For the organisation, it meant delivering improved financial performance through better decision-making at all levels. Culture change was at the heart of the transformation process, ensuring that people were empowered to develop their potential to the full and would both engage with and welcome a new way of working. 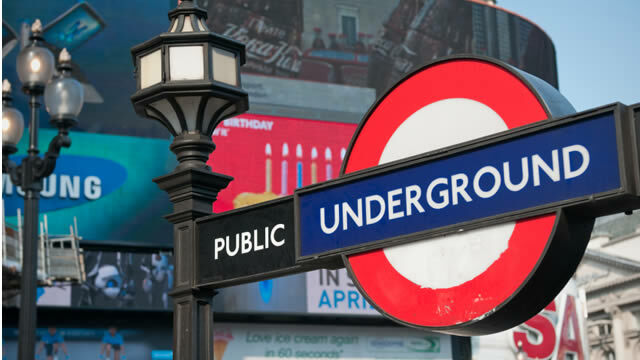 Initially, we helped TfL with a four-stage focus group exercise to explore what London Underground (LU) staff on the ground felt about all this change and what was needed to make it work. This followed on from a cultural diagnosis conducted by the TfL team using the McKinsey 7-S model (examining the balance between structure, strategy, systems, skills, style, staff and shared values) helped them to identify five behaviours that would change the culture of the organisation and support outstanding customer service. This diagnostic told us that if all LU leaders were to use each of the leadership drivers in their ‘moments of truth’ – the time when it matters most – they would collectively create the sort of organisational culture TfL were striving for. However, it became clear in a mid-programme review when we ran a series of focus groups and interviewed senior stakeholders that certain management behaviours were so entrenched, that the changes LU needed to see weren’t manifesting fully and there was some more work to be done. A key pivot point in the transformation programme was the arrival of Steve Griffiths’ as LU’s new COO in May 2015. The former COO of Virgin Atlantic, he brought a different type of leadership to the business – more devolved, less bureaucratic and less hierarchical. What’s more, he had led major change initiatives with Virgin as well as having personal experience with coaching. Steve now leads the programme by example and highlights that the full buy-in of senior management is absolutely key to the success of any transformation programme. In the next stage of the programme we will be providing leadership coaching sessions from the Board down through the business to 250 directors and senior and middle managers. Here, the goal is to give leaders a positive and powerful experience of coaching so that they can embed this in their personal development, as well as providing them with the tools to effectively coach others. Additionally, we will be facilitating a change programme for 350 change champions.